The harmful effects of land pollution on the environment and health have become a major global concern. Practices such as poor waste management, mining and use of pesticides cause diseases and damage animal habitats. According to DoSomething.org, a nonprofit that advocates for social change, pollution kills more than 3 million children under 5 years old annually. Practices that add pollutants into the soil have prompted the government to intervene through the National Environmental Policy Act. You, too, can minimize land pollution by engaging in more environmentally friendly practices. Recycling and reusing resources whenever possible reduces waste, cuts land pollution and saves you money. According to DoSomething.org, recycling averted the dumping of 85 million tons of material in 2010. In line with such statistics, the Environmental Protection Agency encourages you to recycle available resources to reduce soil pollution and minimize the cost of buying raw materials and managing waste. Local and state-sponsored materials and wastes exchanges can help you do this. The Department of Agriculture encourages farmers to use biological pest control methods rather than using pesticides. The use of natural pest control methods reduces soil toxicity. For example: you could release parasitic and predatory insects, such as certain nematodes and lacewings, as a natural means of controlling insect pests in your garden or farm. Other ways to minimize pollution include the use of animal manures instead of inorganic fertilizers, which avoids overloading the soil with nutrients such as nitrogen and phosphorus that are found in "conventional" inorganic fertilizers. You can reduce your footprint in terms of land pollution, and reduce your overall impact on the planet, by using resources sparingly to minimize waste. By conserving available resources, you can help to reduce the amount of waste disposed of in landfills; this decomposing waste produces toxic gases and liquids, such as methane and leachates. 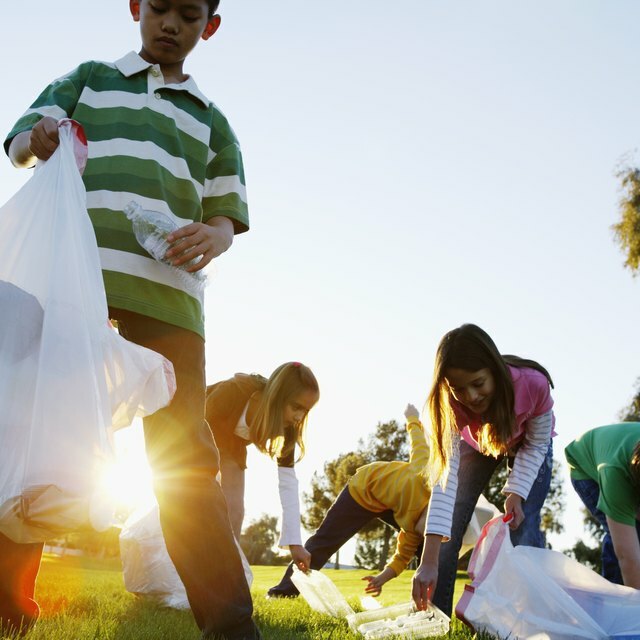 In addition, waste can lead to littering when people fail to implement proper waste management practices. According to the Department of Energy, you can also minimize pollution by practicing judicious use of nonrenewable resources, such as oil and gasoline. Did you know? Many of the practices that minimize land pollution help with the prevention of air pollution and pollution in the water, too. Buying organic products is one of the easiest ways to minimize pollution in the soil. Organic food is produced without the use of artificial fertilizers and pesticides that are often used in to get favorable results in conventional agriculture. If more people buy organic products the demand for nonorganic food will decline, which means less reason and opportunity to use those fertilizers and pesticides that contribute to land pollution. Stephen, Mike. "How to Minimize Land Pollution." Sciencing, https://sciencing.com/minimize-land-pollution-23298.html. 17 September 2018.